Find your classic, everyday sophisticated style with this Seiko men's quartz movement stainless steel three-hand black leather strap watch. Featuring a subtle red tipped second hand for ease of vision and a simple silver designed dial with date window, this timepiece is ideal to be worn at all times, with any outfit and for any occasion. This watch is also water resistant to 100 metres. 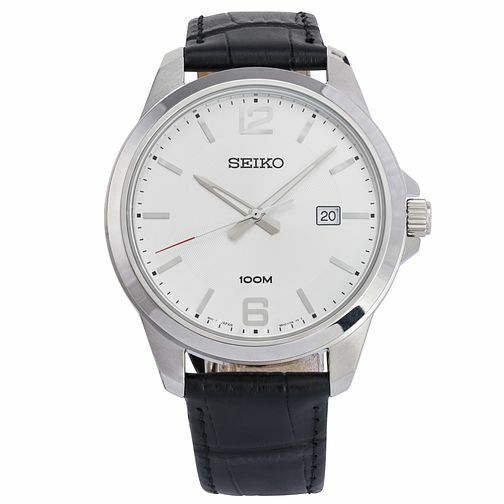 Seiko Men's Silver Dial Black Leather Strap Quartz Watch is rated 4.0 out of 5 by 1.